Hello everyone! It's time for a new giveaway!! 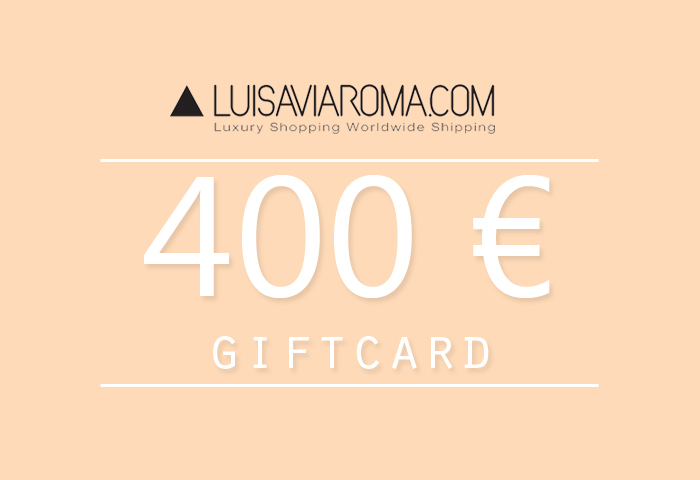 I'm really excited as I have partnered up with one my favorite online stores LuisaViaRoma and we are giving away a 400€ gift card to one of my lucky readers!! So what do you have to do? Tha giveaway is opened worldwide and it ends on 21st of May!! All done. I would get the Fendi wallet as it's been on my wish list for so long now. And my old one is just too old. Done, done and done :) Definitivno bi si kupila vsaj enega od kosov iz nove kolekcije Chiare Ferragni ;) fingrz crosd! NASTASYA CAT-EYE SHINY METAL SUNGLASSES, ki so na mojem wish listu too long ali ker je nova Valentino kolekcija to die for kakšne flats rockstuds ali kar koli od njihove kolekcije v rangu giveaway (not a picky person when it comes to Valentino :D ). Wow, amazing giveaway! I love Luisa Via Roma! If I would win, I would take the MCM backpack for my boyfriend. :) He want's it so badly and I could borrow it ;) win-win-situation. Definitivno bi bil kos od Valentina, Givenchyja ali Alexandra McQueena. Aaaa super giveaway! :) Kupila bi si Salvatore Ferragamo balerinke ali pa kakšno Moschino torbico! hi there, i would love to get a new bag, i am thinking marc jacobs. Thanks for such good giveaway! Definitivno bi kupila torbico Rebecca Minkoff ali pa Givenchy superge. If I win i would like to buy a new bag ! or my favourite shoes Valentino ! I would buy a purse or some shoes! Or maybe both! Thanks for this lovely opportunity :) ! I'd love a classic flawless white shirt from Equipment and black rockstuds ! I would buy something edgy, different that stands out in the crowd. love & looking forward to this. Wanr the Gianvito Rossi Petal suede pump. So classic and chic. Hi! I would buy the moschino shorts of my outfit in Luisa's picture or Fendi sunglasses! If I would be loucky enough, I'd get No Ka'Oi leggins and something by Stella McCartney. Amazing giveaway!!!! I have been following your blog for a while and I love your style! If I were lucky enough to win the giveaway, I would get the Saint Laurent tote. I would love to get the Striped Cotton Canvas Backpack from GIVENCHY! I really wish a Saint Laurent Sac de Jour! cestitke za super blog in ig! Najbrž bi si privoščila Valentino Garavani rockstud torbico. Zato resnično močno stiskam pesti, da bi bila izžrebana. jaz bi si kupila Givenchy Pandora Small Messenger bag.